DIG, FIGHT, EXPLORE, BUILD! Nothing is impossible in the special edition version of this action-packed sandbox adventure! Over a dozen environments and hundreds of items to craft and enemies to defeat! The world is your canvas – make it your own. Special edition content includes new tutorials, 2-4 player split-screen, 8 players online, new items, pets, enemies, and a brand new boss! 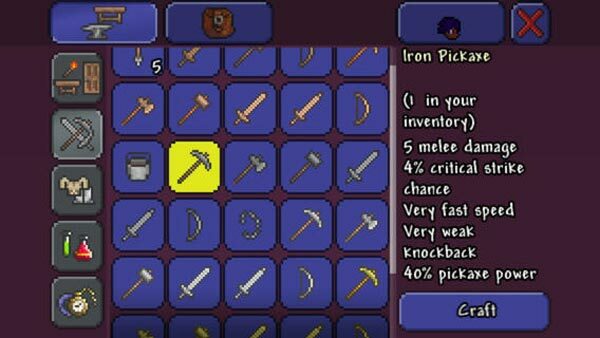 I absolutely love Terraria. I loved it before on PC and I still love it on iOS. I can’t recommend it without reservation if you’ve already got it for PC and are happy, though; for you, there’s no reason to download it on iOS. This version contains a horde of new content that wasn’t in the original PC release, and Re-Logic’s dedication to not filling the game with advertising, in-app purchases, or any of the other trappings typical to iOS games, is admirable. 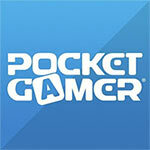 It’s clear that the Terraria team put fun first, which is why this is one can’t miss iOS title. 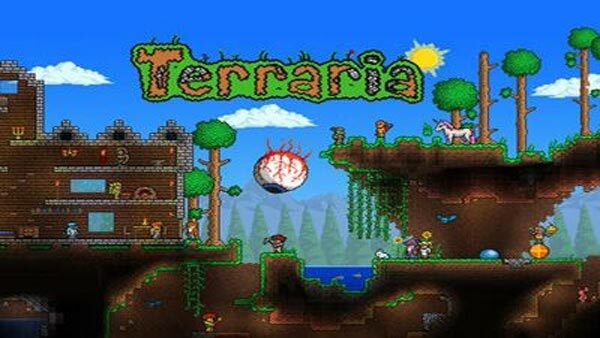 While by no means a replacement for the full PC version of Terraria, this pint-sized iteration is an effortless recommendation. We've been waiting forever for Terraria to arrive, and while the additional screen real estate of the iPad makes it a bit more fun to play on the larger-screened device and multiplayer would be a welcome addition, this is just as much of a must-have for Minecraft fans as Junk Jack X. Although Terraria requires a big investment of time, it'll open up your creative side. The control scheme works great on mobile devices, and the presentation is slick enough to make the game stand out over the competition. If you need a break from Minecraft: Pocket Edition, this should be your next stop. 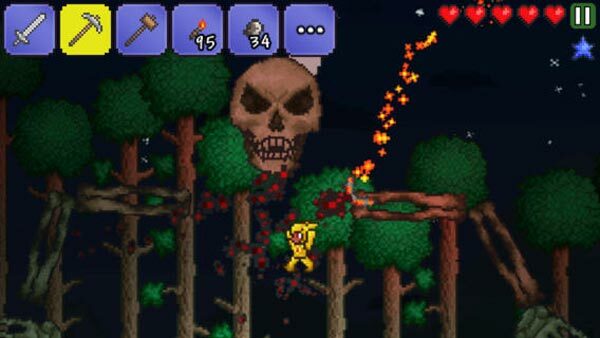 Terraria has been re-built from the ground up for iOS devices, and it shows. From the controls, the visuals, and the sound, just about everything is here from the original release. This is a PC port done right. 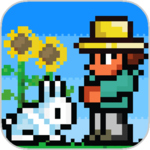 And really, while I think the heart of the game is well-represented here, considering what other titles native to mobile have been able to do Terraria feels rather lacking. There’s still value here, but it’s just not as much as it could have been. If you like a strong narrative and engaging story from your games, then you'd be wise to look elsewhere for your kicks. 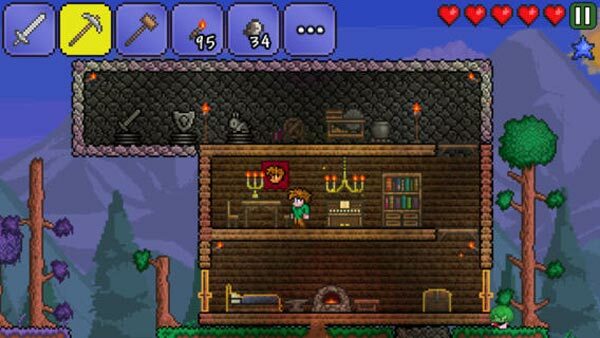 But, provided can see past the control niggles, Terraria on iOS does a reasonable job of putting the 2D playground in the palm of your hand. 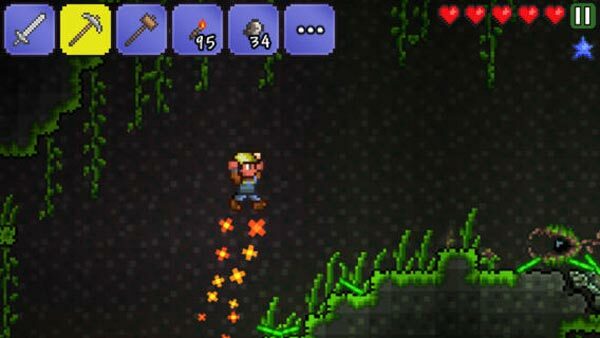 Nonostante le dimensioni ridotte del mondo e la mancanza di interazione con altri giocatori, Terraria mantiene intatti anche in questa versione mobile tutti quegli elementi che lo hanno reso un successo nell'universo indie. Se non vi sentite spaventati da incontri notturni inaspettati e minare è sempre stata la vostra passione, allora è il caso che pensiate seriamente di scaricarlo anche se il prezzo non esattamente in linea con App Store (per quanto oggettivamente basso) dovesse frenarvi.